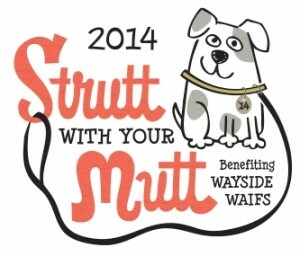 It’s almost time to grab that leash and your four legged friend for the Annual Strutt With Your Mutt 5K Race & 3K Walk. This is the 24th year of benefiting Wayside Waifs and homeless pets in Brookside. It takes place at 8:00 on Sunday, September 21, and as you can imagine, this event takes a lot of water and a lot of volunteers! If you aren’t running or walking, but are in for a good time, we’d love to have your help. If you can volunteer contact Dave Boone at davidhboone@aol.com or 913-492-2878.